Over here at BareBones WorkWear we’re hip, we’re trendy. We tumblr and we twitter and we glance at the gossip mags when buying raw steaks for Barey at the grocery store. In other words, we’re in the know. We understand that fashion is important and for that reason we are constantly hard at work to bring you the most bitchin’ brands around. And on that note, we have an announcement. BareBonesWorkWear just got even cooler — I know what you’re thinking: that isn’t possible. And hey, thanks, but we just got a new brand in and it’s kind of a big deal. 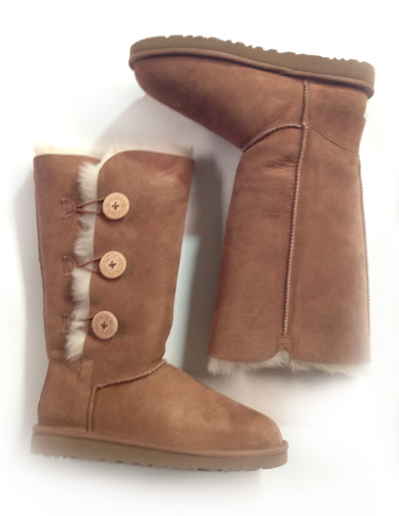 UGG Australia has landed in our stores and online and we will never be the same again. Don’t pretend you don’t know what UGGs are. If you’ve ever been outside during the winter months, your eyes have feasted on these plush devils. 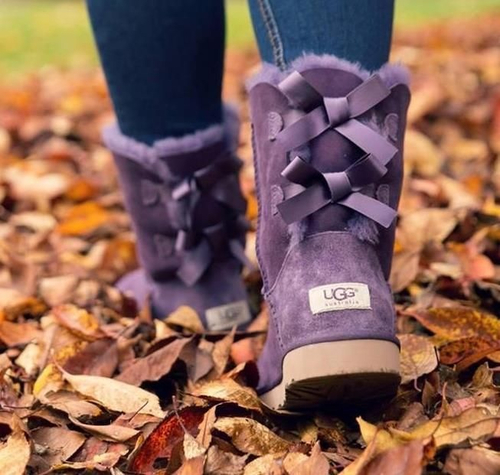 From the local college campus to a coffee shop in the mall, UGGs are everywhere. As sure as the seasons, when the rain comes, smoothies and flip-flops are traded for UGG boots and lattes. But why? What makes these house slippers gone rogue so dang irresistable? It’s simple really. UGGs have defeated the age old question of style versus comfort. 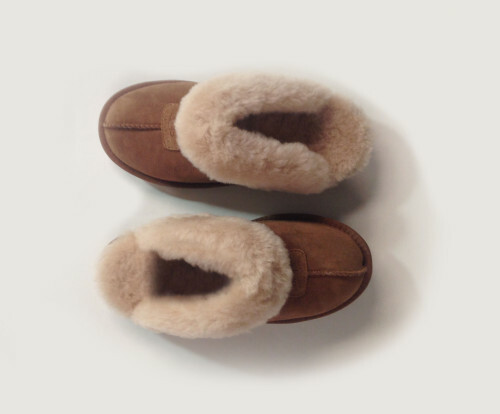 Boasting a minimalist design and twin-faced sheepskin with fleece lining, you can finally have your cake and eat it too. Pair them with a slim jean or patterned legging, a roomy knit sweater or knee-length pea coat; the combinations are limitless. With the holidays just around the corner and your feet roughing it in generic socks and shoes, do yourself a favor. Look fly and feel comfy-cozy at the same time. You know you wanna tumble with us on our Tumblr!